Go HERE for more photos by Chris Blough and HERE for more photos by Whitney Hsieh and tag yourself and your friends! On Friday, July 18th, WAT-AAH!, a fast-growing bottle water brand (founded by CEO Rose Cameron) that aims to encourage today's youth to drink more water, continued its national campaign at Moonlight Studios in Chicago. 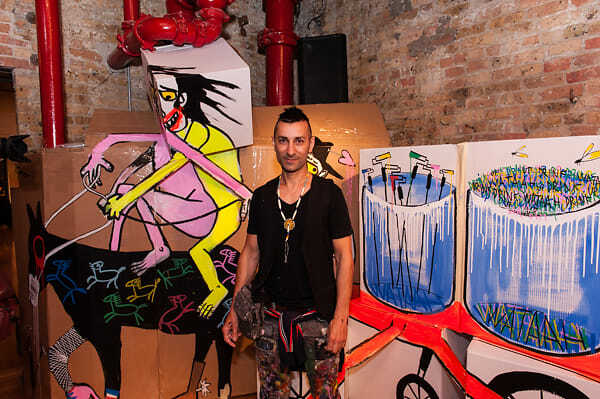 The event began with an artist workshop featuring URNEWYORK and Fumero, where students from The University of Chicago Arts Incubator's Design Apprenticeship Program took a hands-on approach to perfecting their craft. 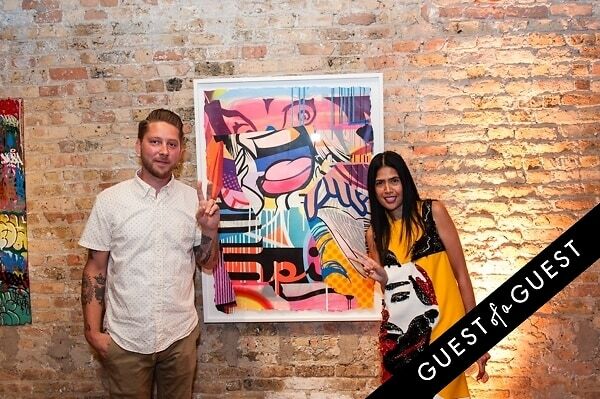 Guests included over 300 art enthusiasts and top influencers in support of the initiative, including Commissioner of the Department of Cultural Affairs and Special Events, Michelle Bonne, and Illinois House of Representatives Kimberly Du Buclet. 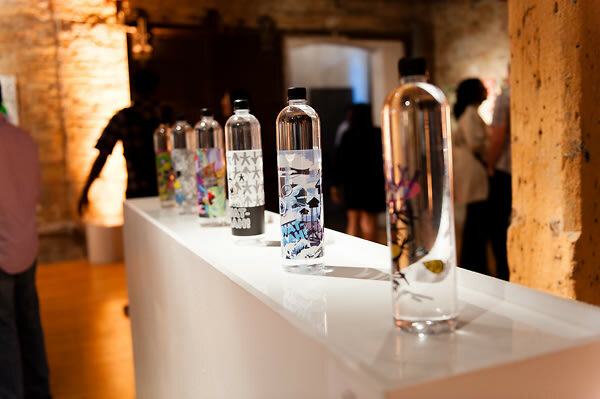 The event continued over the weekend, as the gallery opened up to the public for an educational and entertaining experience highlighting the importance of drinking more water more often. WAT-AAH! 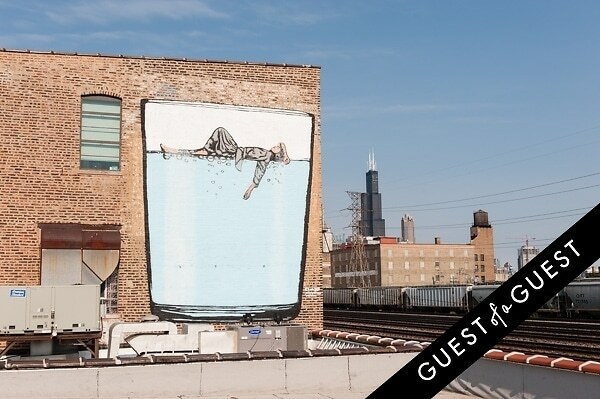 Taking Back the Streets features street artists in its campaign, including Chicago's own POSE and Hebru Brantley, Kenny Sharf, Shepard Fairey, Haze, Swoon, Icy & Sot, and Lady Aiko, among others. 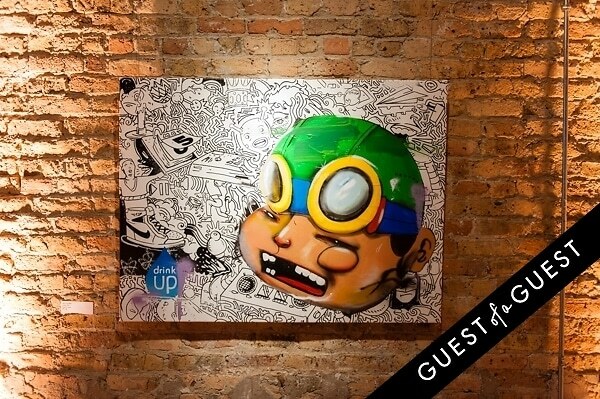 Each artist created a label design including The Partnership for a Healthier America's Drink Up drop, as well as an original work of art to be featured in the traveling campaign and on bottles distributed nationally later this fall. For more information about upcoming shows, #wataahwalls, or the pre-sale bottles, follow @wataahstreetsor click HERE.